We offer Pressure Vessels that are fabricated from premium quality Carbon Steel, Stainless Steel, Hastelloy. These Vessels are designed by experienced engineers using latest software tools. GMP has excellent welding facilities and skilled work force to fabricate quality equipments in different material of construction like carbon steel, low alloy steel, stainless steel and many others. 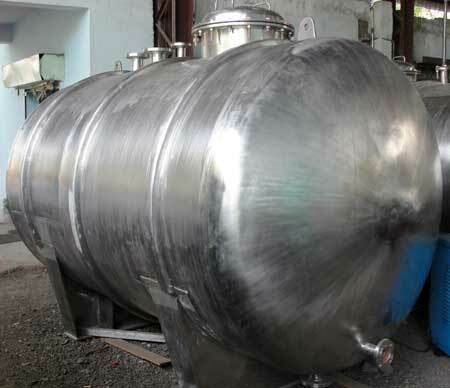 Pressure Vessels are designed as per various standards like ASME, BIS, BS, DIN or as per customer requirement. GMP has excellent welding facilities which include GTAW / FCAW/SMAW & SAW. The entire welding is carried out under expert supervision using best engineering practices and standard consumables.